Regular or seasonal trimming and pruning is a significant part of keeping trees healthy and looking their best. 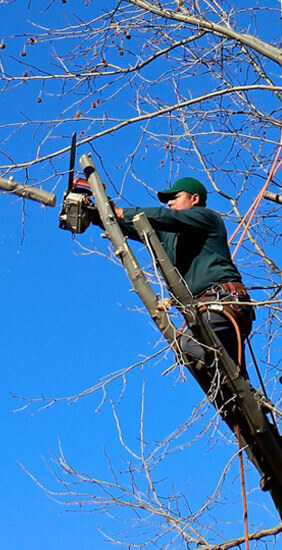 We offer a wide range of tree trimming and pruning services depending on your unique needs and tree species. As with any service, improperly performed pruning or trimming may cause more problems than it solves. We are trained to manage trees ranging from ornamental species to local beauties to fruit and nut trees. If you are not interested in trimming, but rather cutting and removal services, visit fasttreeremovalatlanta.com/tree-services-dunwoody-ga-emergency-cutting-near-me. Otherwise, below are tree trimming techniques that we perform and their benefits. Thinning – Tree thinning involves cutting branches off from the inside all around the tree. If a tree’s branches are too dense, they may compete with one another for resources, causing the tree to suffer from structural defects. By helping the most vigorous branches thrive while cutting back the weaker ones, the tree will be stronger and healthier. When performed, a proper thinning application is even and maintains the tree’s core shape. Don’t allow just anyone with a chainsaw to thin your trees, the results could be disastrous. Windowing – Windowing is a highly specialized pruning approach that creates a “window” through existing foliage between where people will stand and where the view will be. This is often visually stunning when done right, and people looking out the window will see a beautiful view framed on all sides by branch whorls and leaves. Give Fast Tree Removal Services Dunwoody a call if you are considering opening your trees’ limbs to create a better line of vision. Skirting – Skirting involves removing the lower limbs from a tree. This is done for several reasons. If a tree’s lower limbs get in the way of cyclist or pedestrian traffic, they may risk damage and need to be trimmed. As a secondary benefit, this may enhance the view from lower level windows. Finally, skirting may produce a shaping aesthetic that draws the eye to the top of the tree. Whether your goal is functional or aesthetic, remember that if done incorrectly too much skirting may be dangerous to your trees’ health, and this technique requires the skill of a tree professional. Some reasons for trimming trees include distributing the weight and balance of the tree, removing dead wood, helping to elevate the canopy of a tree, and ensuring proper wind flow and sun throughout the tree. The purpose of this tree service is that every part of the tree should receive about the same amount of sunlight, so it grows out fully rather than appearing stunted in one area or another. Trees may be trained and shaped, especially when they’re young, to fill out and provide a more picturesque aesthetic or produce more abundant fruit. Finally, sometimes a tree must be trimmed to keep it from doing damage to nearby property. Dunwoody is known for fierce storms, and tree trimming can help to mitigate the chances that a storm will cause parts of the tree to fall. These techniques plus stump grinding are available as part of our tree trimming Dunwoody services. Give Fast Tree Removal Services Atlanta a call and get your free, no-obligation trimming evaluation today!